We don’t want to sound too much like a tabloid, but anonymous sources close to ROAM (we have always wanted to use that phrase, though), have revealed that the Viscount name is to be resurrected and new caravans will once again appear on the road bearing the regal V.
Viscount was, until the mid-1980s, the largest caravan manufacturer in the country, accounting for around seven out of 10 caravans rolling off production lines at its peak. Even today, an inordinate amount of Viscounts, some in very good conditions, are still rolling along the highways onto happy holidays, while most of the rest are blocked up in caravan parks as onsite vans. Here’s hoping this is the rebirth of awesome tri-axle vans… or maybe not. Viscount ran into troubles in the mid-1980s after releasing the AeroLite caravan, which although was two or three decades ahead of its times in terms of design, failed when it came to durability, and became a major PR disaster for the once mighty firm. The company was never the same again (and you can read about all that here). Viscount isn’t the only name to be resurrected during caravanning’s more recent boom. Concept Caravans manufactures under the Franklin and Newlands name, while the Olympic and Sunliner names are both used by modern manufacturers. 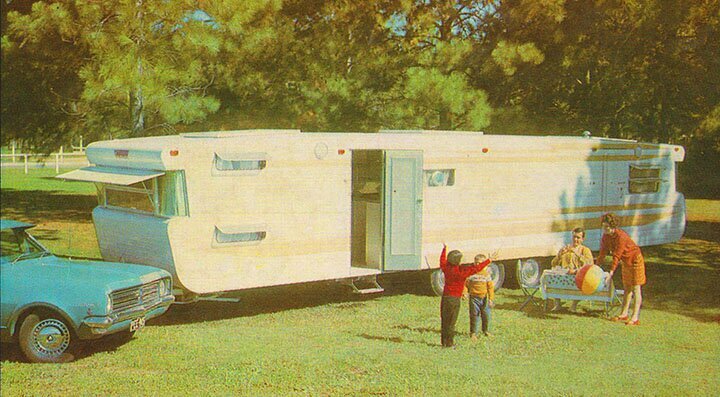 The Millard nam, another of the large manufacturers of the 1960s, 70s and 80s is also used by a Sydney manufacturer building a range of hardy off-road caravans. 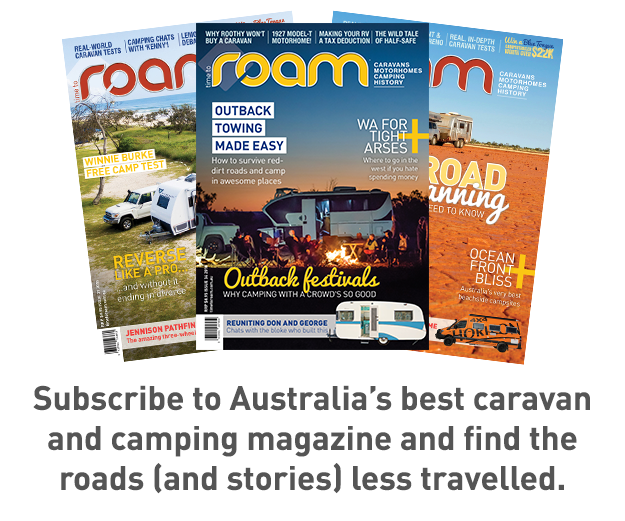 The Viscount name hasn’t been in official use since the late 90s or early 2000s, but as ROAM understands it, the name is to be resurrected by a current caravan manufacturer that already builds caravans under a name brought back from the dead. 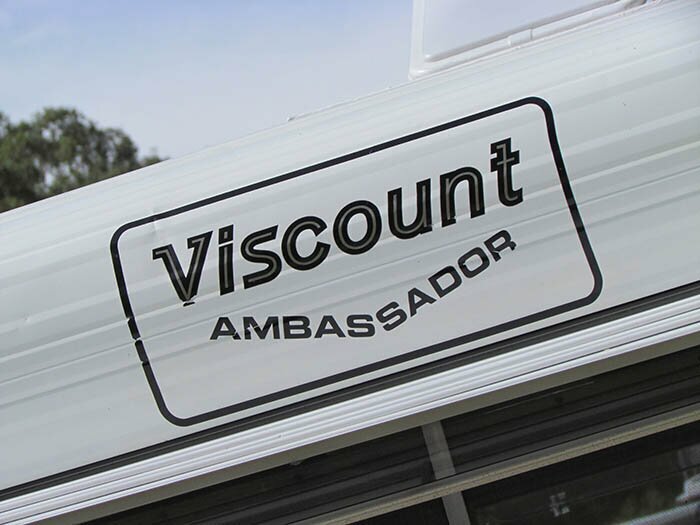 Would you like to see a new Viscount Caravan on the road? What would you want it to be like? I don’t like the idea and I think it’s cheating the consumers. The Viscount brand/name was built by someone else. Now someone else wants to cash in on someone else’s hard work. What I really would not like to see is The Viscount unique beautiful shape be modernized. I restore viscount vans. I’m extremely passionate about them along with so many others. What really worries me is if they start to do that, the older ones might be neglected. I think it’s so important to preserve the history of these old vans and it could be a great loss to so many mum and dad’s Diyers trying to make beautiful unique vans. I hope it never happens. If it does I’ll be extremely disappointed. Make your own ideas/brands don’t cash in from other’s hard work. I think the question is “do we really need yet another caravan manufacturer”? There are so many out there and they are all producing the same thing. What would their point of difference be? Would they introduce anything new to the market? I would be very surprised if they did. Like another contributor, I think someone is just wanting to use a well known name in order to sell caravans. Postscript to the above, I own a 1972 15.5 ft x 6.9 ft Viscount Valiant. I love it, it is easy to tow and you hardly notice it is hanging off the back of my Nissan Navara twin cab. The narrower width than most modern vans makes it so easy to get in and out of tight spots. As a former National Sales & Marketing Manager for Vicarr Industries in their heydays, I would find it very disrespectful to see another manufacturer try to cash in on our once legendary brand, although it was tarnished somewhat by the release of the European inspired Aerolite range in the mid 80s, prior to John Carr selling out in 1986. Rebranding is a very cheap marketing tool and I’m sure the Australian consumers will see through the smoke & mirrors. Let the name Viscount rest in peace with its original owner and founder John Carr. Retro is streets ahead of new and a bloody sight cheaper for the use you get out of it. 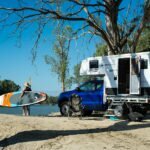 I have been looking into getting a large van and came across a company in Perth WA = baronesse caravans – http://www.baronessecaravans.com.au they have a page on FB also. I have spent a year rebuilding a 17’6″ Viscount Supreme. A great van , glad to see the name revived & continue into Australian history.